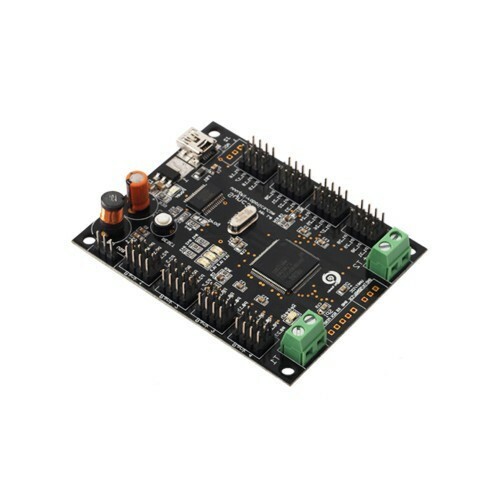 Sync32 is servo motor controller, powered by ARM Cortex-M3 based LPC 1768 microcontroller, which can simultaneously control 32 servo motors. Sync32 is an ideal choice for robotics as well as embedded applications. Sync32 has 8 servo motor banks divided into two sets. Power is provided separately to each set. Current rating of each set is 6A. The user can also monitor battery voltage.